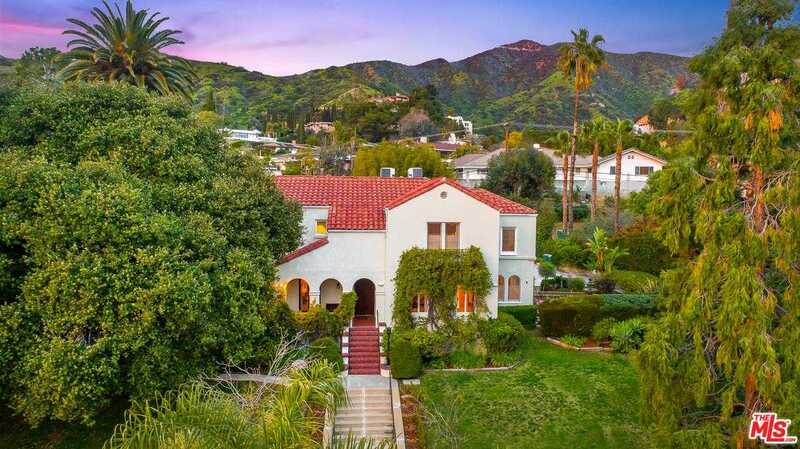 MLS# 19444024 – 705 Cumberland Rd, Glendale, CA 91202 – Robbyn Battles | Battles Real Estate | JohnHart "Real Estate Redefined"
Set on one of the most coveted streets in Glendale stands this 1923 Mediterranean trophy estate. Extremely private 5,142 sqft house, a detached 818 sqft guest house & a 3-car garage on a 34,000+ sqft lot. This is an entertainer’s dream. Period details at every turn this showcase home boasts large entertaining spaces, an oversized regal formal LR with period French doors & a decretive fireplace. High ceilings throughout, with a grand DR perfect for large dinner parties, a large kitchen fully equipped with modern day appliances & tons of custom cabinetry. A separate breakfast room overlooks a manicured rose garden. The lower level features a large family room, wine cellar, kitchenette, & a private room great for a media room. 4 generous bedrooms upstairs including a sunroom and 3 private baths. Park like grounds, a sparkling pool, cabana & a guest house with a kitchen, 2 baths, and a bedroom. A one of a kind estate for anyone looking for a compound that is private, grand & expansive. Building size: 5960 sq ft. Please, send me more information on this property: MLS# 19444024 – $3,100,000 – 705 Cumberland Rd, Glendale, CA 91202. I would like to schedule a showing appointment for this property: MLS# 19444024 – $3,100,000 – 705 Cumberland Rd, Glendale, CA 91202.